Memorandum by Peter Durnovo to Tsar Nicholas II, February 1914. The question of who brought the Hitler regime to power is the key to understanding all of the subsequent tragic events. An incorrect evaluation of the «early Nazism» period leads to an erroneous assessment of WWII’s causes – the puzzles and mysteries multiply. If we are to believe the history books, then political leaders act contrary to all logic and common sense. But this is simply impossible – we have already said that total fools don’t make it into office. Statesmen pursue the rewards bestowed upon them in the form of power, and such indicates the logic of their actions. If the government is headed by a puppet, then it is still has a need for power, just not its own – and that’s the whole difference! It is important to understand that every decision is taken entirely based upon the political or economic dividends that country will reap, whether it is totally independent, or if it’s sovereignty is phony, in which case the benefit goes to the «boss» nation. And if, after reading historical research about the eve of the Second World War, you are left with the impression that all the world’s governments were run by fools who did not understand the obvious consequences of their actions, then it means that the author himself understood nothing about the period. In order to properly assess the actions world leaders, we have to go back a few years and plunge into the messy kitchen of the Russian and German revolutions. Let’s start with the latter. It started against the backdrop of heavy fighting in Germany on all fronts. However, it is impossible to explain its military defeat. That is to say, you can, but only if you forget a few important facts. One is that in 1945, Germany was completely occupied and still resisted to the last man. When the revolution began in 1918, not one enemy soldier had reached German soil. In the First World War, Germany did not know the horrors of bombardment, much less carpet-bombing, which could wipe any trace of a city from the face of the Earth. Germany did suffer from great economic difficulties, but in Berlin and Hamburg there was no famine to the levels of Leningrad in 1941. So why did the revolution take place? Because it was set in motion. The same forces that brought down the Russian Empire in February and October were now ready to bury their second geopolitical rival – the empire of Kaiser Wilhelm. And bury they did! The artificial collapse of Germany created fertile ground for the Nazis to stir up their agenda. 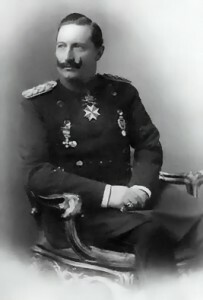 The Chancellor at the time of the Germany’s collapse was Prince Max von Baden. Strictly speaking, his rise to power on Oct. 3, 1918 marked the creation of a new government in which the tone was set not by stiff Kaiser-backed officials, but right-wing Social Democrats headed by Ebert and Scheidemann. At the end of September, there was a difficult situation on the fronts. Germany’s allies were cracking. On September 30, Bulgaria signed an armistice with the Entente allies. The leaders of Austria-Hungary and Turkey also began to ponder the survival of their regimes, and not a victory in the ongoing war. At that point, strengthening their spirit and confidence in victory was the most important task – for Germany, of course. For Germany’s opponents, priority number one became holding separate talks with Germany’s satellites. The war dragged on. With Germany’s defeat imminent, it still would not give in, thus by splintering its allies, the Entente could hasten the end. In London and Paris too, the populations were on the verge of starvation and they could not stand millions of more funerals. Even for the United States, which had just entered the war, a prolonged struggle was undesirable. It was no accident that Washington waited four years and declared war on Germany six months prior to its defeat. The idea was to minimize its losses while making use of what others had provided, rather than fill up the impregnable German trenches with the corpses of doughboys. Here at this critical moment, the true miracles occurred. German Chancellor Prince Max von Baden caught fell ill. For him it was certainly bad, but for the country it was not catastrophic. However the problem was not the Prince’s disease, but rather its consequences. How did this happen? Nothing at all. Nonsense. Prince Max Von Baden slept. And he slept for quite a while! Longer than anyone in the world. Even the most fatigued and exhausted. You will not read about this «miracle» in the textbooks: historians overlook facts that they are not conditioned to explain to you. The information can be found in the memoirs of British Prime Minister Lloyd George. Not only did the chancellor sleep for an extraordinarily long period of time, but, in fact, during that time Germany lost the war! «An excessive dose of sleeping pills plunged him into oblivion for 36 crucial hours from November 1st to 3rd. When he awoke, it appeared that Germany’s allies — Turkey and Austro-Hungary – had already left the war, and Bolshevik agitators had fueled unrest across the nation» [David Lloyd George, War Memoirs (1938)]. Vienna and Istanbul had in fact signed separate peace accords with the Entente while the German leader was sleeping peacefully like a baby. When he awoke, his nation already had one foot in the grave. Do you believe in the chancellor’s spontaneous 36-hour sleep? Do you believe that not a single person could wake him? – That no one wanted to do so against the backdrop of the unfolding events? Well, Stalin couldn’t sleep through the Battle of Moscow, no matter how exhausted he became. Hitler could not sleep through the critical moment as the Allies stormed Berlin, as if his nervous system couldn’t have used a little rest! Even a sick and overworked George W. Bush (as well as any other president) would be woken up in the event of a disaster on the scale of September 11, 2001. If you are in that position, you must lead the country – give instructions, and respond to the rapidly changing environment. But Prince von Baden slept and slept. There are only two reasonable explanations for this «serene» during such a decisive moment in German history, and both of them tell us that the German «revolution» very much smacks of conspiracy or secret operation. • Someone, not at all by accident, gave the truly sick Prince enough sleeping pills to kill a horse, and then under all manner of excuses forbid anyone from coming to bring him to his senses. • The Prince chose the alibi himself, claiming to be sick and quietly slept in his office, and (arranged to) not interfere with the collapse of his country. The provocation for the rebellion in the port of Kiel was sending unwilling sailors and «brothers» who had gotten out of the habit of fighting into a decisive battle with the British fleet. For the German admirals, the idea was a thing of beauty itself: resolutely take the fight to the enemy. The sailors were cards that could still be played. A victory could radically change the whole situation, and, in the case of defeat, things wouldn’t be much worse. After all, in any case, death in battle is a much more consistent military honor than capitulation. This beautiful propagandistic message backfired on the soldiers and they began to rebel. The situation was very similar to the Russian Revolution in February when the monarch was forced to abdicate from the throne and that abdication – not a «revolutionary situation» — instantly laid the country into its deathbed. But if Nicholas II succumbed to blackmail, the Kaiser showed composure. He had one advantage: unlike his Russian cousin, he was not arrested. But the monarch’s persistence could have halted the thrust of forces set in motion that would rapidly eliminate the German empire from the list of military powers. Therefore, someone had to boldly lie. Max von Baden did something absolutely incredible for a prince and prime minister: he announced the abdication of his Kaiser, having received a clear and concise refusal from him! In fact, Wilhelm abdicated three weeks after the announcement of his abdication! And the Prince was not only the chancellor, but also the Kaiser’s cousin. If this is not treason, what could word could possibly apply? There are other «random coincidences» that suggest that both the Russian and German revolutions were cast from the same mold. The unrest in Petrograd erupted on February 23, 1917 exactly one day after the Tsar left the capital for Russian military headquarters in Mogilev. In 8 days, Russia would hear of his abdication. Likewise, on October 28, 1918, Wilhelm left Berlin for his HQ in Spa. Twelve days later, it was announced to German people that they had a monarch no more. When the job is done, the hero walks into the sunset. Having assumed the power of God Almighty (because monarchs, themselves are anointed by him), Max von Baden the submitted his resignation and passed the chancellorship to Social Democratic leader Friedrich Ebert. He started by surrendering his Kaiser, and then surrendered his post. Within an hour (!) of taking power, the new leader of the Social Democratic Party «deepened» the revolution, single-handedly declaring Germany a republic! The government of «sleepy» Prince Max had been in power for just over a month. And in that month, he had so deftly managed to lose first all of Germany’s allies, and then Germany itself! These are the men that Hitler later called traitors and turncoats – and not only for the «soft» abolition of the monarchy. Of course, Scheidemann, Ebert and their accomplices from the new government were quick to sign and armistice with the Entente nations immediately after coming to power. «Article 4. Surrender by the Germany army of the following war materials: 5,000 cannons, 25,000 rifles, 3,000 mortars and 1,700 airplanes. Article 7. Surrender by Germany’s allies: 5,000 locomotives, 150,000 train wagons, and 5,000 trucks. Article 9. Supply and provision of the occupation force in the Rhineland (not including Alsace-Lorraine) will by the German government’s responsibility. In addition to all above, Germany must transfer to Allied control: 6 heavy cruisers, 10 battleships, 8 light cruisers, 50 destroyers and 160 submarines. Do you call this a «truce»? Can such demands be included in its text? A truce is otherwise known as a cease-fire. 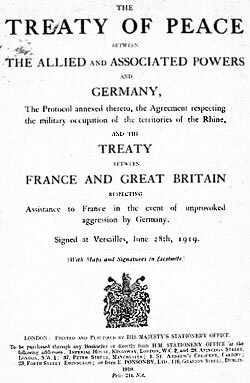 This document, drafted by the Entente and quickly signed the new German leadership cannot be called anything other than unconditional surrender. If the German people were told what the British and French were asking, they would have continued to resist. Therefore, the document is called a «truce». Germany first laid down its arms, pledged to withdraw its forces from all occupied territories, transferred control of its fleet to the Allies, surrendered its heavy weapons and transport vehicles, and release all prisoners. Only after all that, once the Germans no longer had any army to speak of nor any means of resistance, the «peace talks» could begin. In so doing, the Germans first handed over their weapons and only later learned on what terms they had done so! Germany’s defeat played out without a hitch. 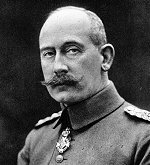 With the Kaiser’s consent, the German delegation began negotiations for an armistice on November 7, 1918 – that is to say, before Wilhelm announced his abdication. The Allies gave the Germans 72 hours to reflect on the proposal, which expired on November 11. The Kaiser would never have agreed to such exorbitant terms. 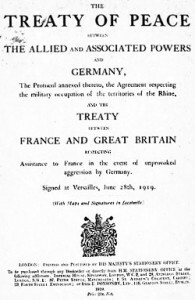 After all, signing the document would mean the defeat of Germany in WWI! It was therefore necessary at the time that the «truce» was signed that the Kaiser not exist. Otherwise, this cease-fire that was in reality much more like a capitulation would have never been signed. Thus, on November 9, Max von Baden’s lie about the Kaiser’s abdication was announced to the world, and a new government made up of puppets immediately signed the documents according to the deadline set by the opponents – November 11. And all the papers were already in order? And the Entente command was already able to calculate the amount of military guns and equipment that the Germans should «surrender»? Perhaps the German delegates kindly brought a list with them? Or perhaps, the Allies had planned all of this out earlier, knowing in advance about the impending coup d’état? Naturally, the extortionate Treaty of Versailles was then signed. You know the rest: reparations until 1988, hunger and cold unprecedented in human history. The Germans sobered up quick, but there was no road back. Germany’s production of goods fell to 1888 levels, although the population had grown by 30 percent since then. All were left to decide to either suffer through or close the windows and turn on the gas. That’s when Adolf Hitler began to ascend into the political arena. He understood who won the First World War and whose gracious permission would be needed for Germany to get back on its feet. ORIENTAL REVIEW publishes exclusive translations of the chapters from Nikolay Starikov’s documentary research ““Who Made Hitler Attack Stalin” (St.Petersburg, 2008). In my opinion the first and the second world war have the same roots. I noticed that russian people and people who live in the East Countries understand the real history better than other people, maybe this happens because they had a difficult history and they don’t trust what histry books tell. Being a participant in the ‘negotiations’ at Paris and Versailles in 1919, Benjamin Freedman was personally acquainted with Bernard Baruch, Samuel Untermyer, and Woodrow Wilson, among many others. A Jewish convert to Catholicism, his Willard Hotel, Washington, D.C., speech was given before a Christian audience on behalf of Conde McGinley’s patriotic newspaper of that time, Common Sense.